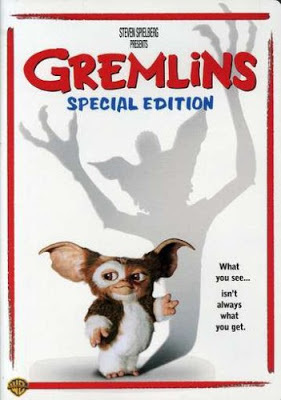 "Gremlins" (1984) starring Zach Galligan, Phoebe Cates and Hoyt Axton is a comedy horror movie i haven't seen since I was a child but just watched again when it was on cable. 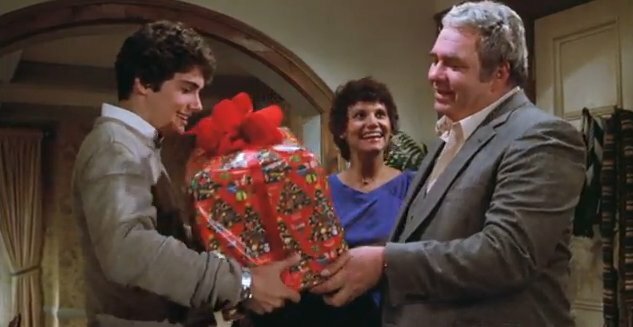 It's Christmas time and Randall Peltzer (Axton) an amateur inventor is looking for a gift for his son Billy (Galligan) and finds an antique shop in Chinatown that has a very special gift. It is a Mogwai, a cute little teddy bear like creature with big ears. 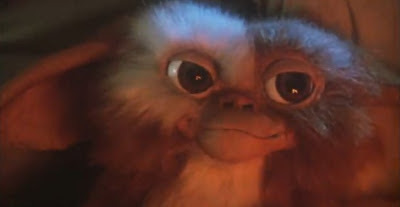 The man at the shop tells the dad there are three rules for the Mogwai named Gizmo: don't expose it to bright light, never get it wet & never feed it after midnight. 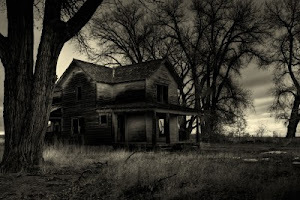 Billy loves his new pet but soon the rules get broken and after being fed after midnight and getting wet, Gizmo starts multiplying into creepy, scaly, little green creatures that love mischief and get into everything and make it go haywire. 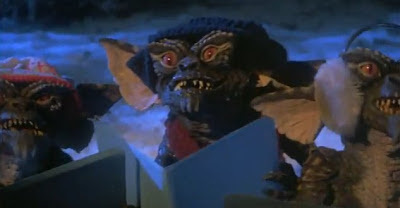 So, on Christmas Eve, one of the Gremlins falls into the swimming pool and multiplies into thousands that wreak havoc on the small town - causing much destruction and death. I had forgotten how crazy these little creatures were.